Looking to build a suitable living environment for your plants? 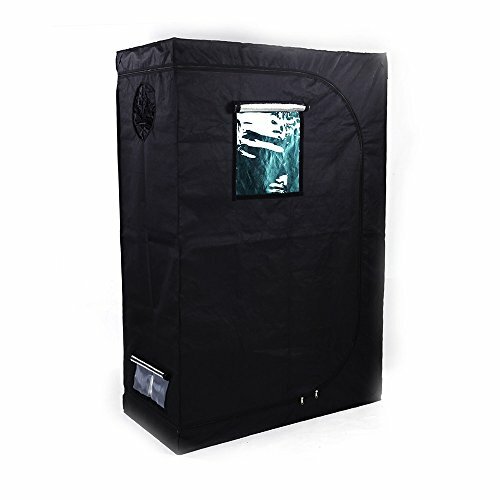 Then you'll definitely need this Grow Tent with Window! With such a great helper, you can easily provide the seeds with steady supply of light, temperature and water for optimal germination to occur. Highly reflective silver aluminum foil on the inner side of the cover effectively prevents direct exposure to sunlight and offers shade when needed. Iron frame is sturdy and durable for long-lasting use. Don't hesitate to order now! Offer a suitable living environment to your plants.Easy to install. If you have any questions about this product by ElifeAcc, contact us by completing and submitting the form below. If you are looking for a specif part number, please include it with your message.